Candles of New Zealand is a brand of National Candles Limited, operated by the McLean Family and based in our stunning captial, Wellington. National Candles history can be traced back as far as the 1920's when 'Prices Candles’, a division of the Shell Oil Company set up their factory in New Zealand. Edgar (Steve) Silestean founded the business under the name E. Silestean & Son Limited in 1969 when he acquired the business from Shell. Using some existing plant from Shell Oil and employing the existing foreman for several years, Mr Silestean built his business and developed the brand name 'National Candles'. Edgar had a vision to provide his customers with quality candles by using only traditional candle making methods and the finest raw materials available. The McLean family acquired the business in 1996 when Edgar was forced to sell due to his health, and have continued with Edgars vision. The McLean family underwent shifting the factory in 1997 to its current idyllic central city location of 28 Egmont Street, Te Aro, Wellington. This is where the magic happens. National Candles believe strongly about giving back to the community through long term partnerships with various organisations. We are proud to have a relationship with the Whitford Brown Community Trust workshop who provide us with specialised contract labour. Candles of New Zealand - Enlightened! 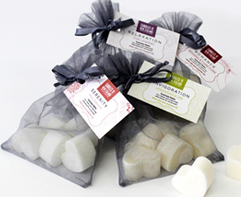 We are committed to continually developing our range of candles to suit the customers needs and appreciate feedback from our retailers. Please don't hesitate to contact us with any comments or special requests.